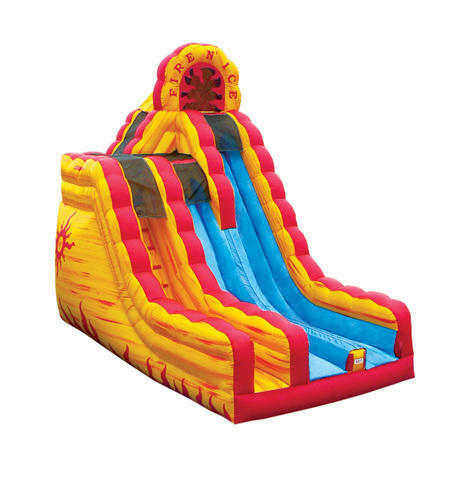 This Fire-n-Ice Slide is a great slide for indoor or out. It is manufactured in the USA and is sure to thrill the riders. This slide stands 20' tall with a steep slide angle. Riders can climb to the first landing and slide down or for a bigger thrill continue another 4 ft. and slide from the seond landing. It is a great slide for any age or birthday party.